Nearly 4,000 customers remain without power following a strong weather system that brought reported 60 mile-per-hour winds, hail, and an estimated 5,400 lightning strikes into the Greater San Antonio area. CPS Energy crews and contractors have worked throughout the day, restoring outages for more than 33,000 customers. The early morning storm swept through the area at about 3 a.m. this morning, leaving a total of more than 37,000 customers without electricity. 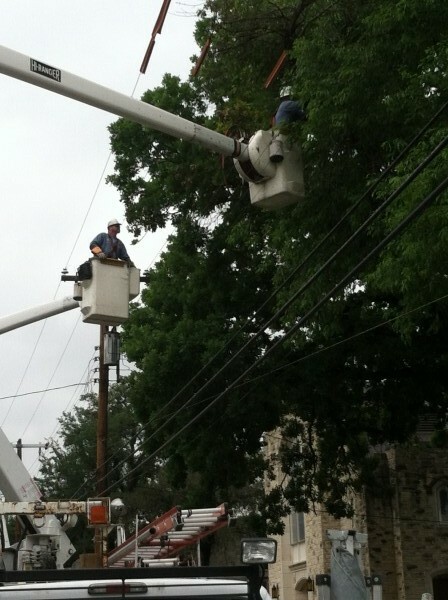 The outages were widespread, but straight line winds affected more than 10,000 in south San Antonio alone. After restoring power to large numbers of customers, CPS Energy crews and three contracted companies are now focused on the individual outages that may affect smaller clusters of one to five customers. 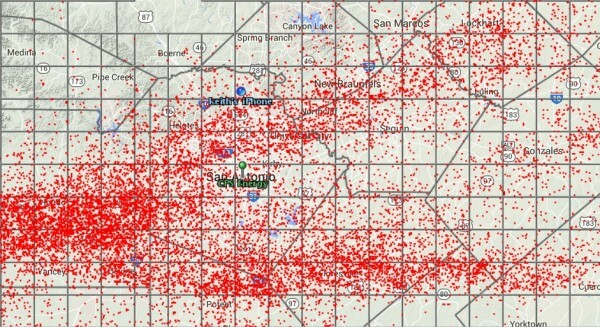 Roughly 380 of these isolated situations are impacting the remaining customers and are the most challenging in any restoration effort due to the outages being scattered throughout the area and the time that it takes to repair equipment like transformers. Storm restoration is expected to continue into early tomorrow afternoon. “We recommend that customers still experiencing an outage put their emergency plans into action if they haven’t already. Stay with a friend or loved one overnight, if necessary. Hopefully, any perishable food is already on ice or has been relocated to someone else’s home,” said Chief Delivery Office Jelynne LeBlanc-Burley. The first severe weather system entered the area early Friday morning and produced 7,000 lightning strikes, causing more than 17,000 outages. Restoration efforts for the first storm ended right as the second weather system appeared. Crews work to restore power on April 24, 2015. Several areas of the company have been involved with the storm response, including Energy Delivery, Gas, Customer Accounts & Operations, and Community Engagement.